Elizabeth Anscombe’s 1958 essay “Modern Moral Philosophy” is a cutting intervention in modern philosophy that shows the full power of good evaluative and analytical critical thinking skills. 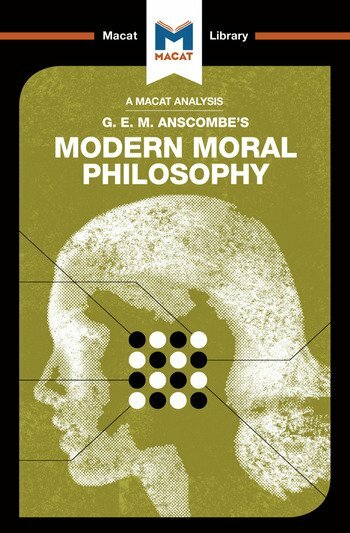 Though only 16 pages long, Anscombe’s paper set out to do nothing less than reform the entire field of modern moral philosophy – something that could only be done by carefully examining the existing arguments of the giants of the field. To do this, she deployed the central skills of evaluation and analysis. In critical thinking, analysis helps understand the sequence and features of arguments: it asks what reasons these arguments produce, what implicit reasons and assumptions they rely on, what conclusions they arrive at. Evaluation involves judging whether or not the arguments are strong enough to sustain their conclusions: it asks how acceptable, adequate, and relevant the reasons given are, and whether or not the conclusions drawn from them are really valid. In “Modern Moral Philosophy,” Anscombe dispassionately turns these skills on figures that have dominated moral philosophy since the 18th-century, revealing the underlying assumptions of their work, their weaknesses and strengths, and showing that in many ways the supposed differences between their arguments are actually negligible. A brilliantly incisive piece, “Modern Moral Philosophy” radically affected its field, remaining required – and controversial – reading today. Dr Jonny Blamey received his PhD in Philosophy from King's College London. His work focuses on the philosophy of probability and epistemology. Jon Thompson currently researches in the Philosophy department at King's College London.